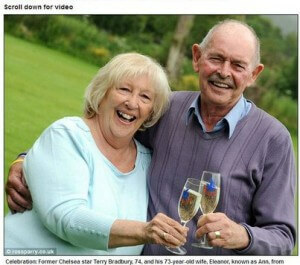 Retired footballer and pub operator Terry Bradbury has just won a £5.5million jackpot in the lottery. Bradbury and his wife won after veering from their usual set of numbers to purchase two lucky dip entries. The winner reveals he will not be splurging like modern football players do, and does not even know what he will use the winnings for. All he and his wife know is that they will spend the money on family – and maybe buy a holiday villa in Spain. And they intend to continue playing the lottery – mainly lucky dips this time.